A new paper from Sweden presents a compelling overview of efforts made by regions and municipalities in that country to identify areas that are relatively free of human noise. While these efforts have had only modest impact on planning and regulation, in a few cases quiet areas are being protected from noisy development or highlighted in recreational promotion. This sort of initiative deserves to be more widely replicated. Any local planners or activists who would like to encourage quiet-area expansion and protection will find a wealth of references here, and will appreciate the case reports describing some of the criteria being used in various cities, towns, and counties. The paper is open-access and can be readily downloaded as a PDF or html. The authors found that 41% of Swedish municipalities include quiet areas in their general plans (all shades of green on map at left), but only 6% (dark green) have created detailed assessments or strategies for implementation. Here’s an example of a map produced by the city of Hörby, where the local general plan “includes a detailed account of how the quiet areas are to be protected. For instance, wind farms, shooting ranges, sawmills, and similar activities are to be avoided.” Other towns have also aimed to concentrate noisy activities away from currently quieter areas. The authors examined ten regional initiatives and forty-three municipal projects in some detail, including looking at the criteria used for classifying various degrees of “quiet area,” which generally ranged from very quiet rural settings (25-35dBA) to parks in urban areas with noise levels that were relatively modest compared to the surrounding neighborhoods (perhaps 45dBA, with varying standards for times above this level based on local context). Since 2013, three municipalities have replicated a Stockholm initiative, a local “Guide to Silence,” the most active outreach thus far undertaken, which emphasizes accessibility and the publication of maps, guides, and signs at quiet locations. Relatedly, three coastal Swedish counties have pioneered “Consideration Areas,” where visitors are encouraged to minimize their noise in designated archipelagos, for example by slowing boats and avoiding noisy activities. While having no legal force, reports indicate that collaboration and common goodwill have made these efforts quite successful. Still, the authors note that “in many cases where mapping of quiet areas had been performed, it has been used mainly as an inventory,” with little or no followup in the ten or fifteen years since the initial mapping. Clearly, there is much more than can be done to move these ideas forward and establish relative quiet as a resource that is worth protecting and expanding. This paper is a very useful starting point for learning more about the possibilities and potentials of quiet area planning. 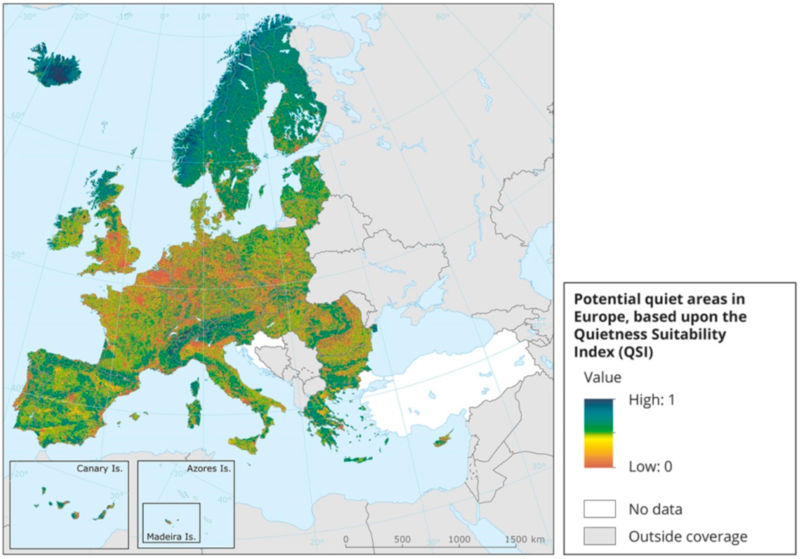 As a final bit of inspiration, here’s a map of European “potential quiet areas,” which highlights the pressing need to identify and protect what quiet places remain, especially in and around developed areas. You can click on this map to view a larger version that gives a better sense of the many tiny pockets that deserve our attention ASAP; while the US, mapping by the National Park Service finds similarly tenuous pockets of quiet in federal, state, and local public lands that should be prioritized for protection. 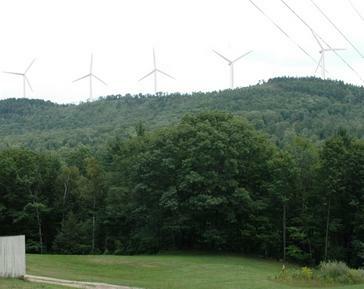 The Vermont Public Service Board has released its final proposed rule for wind turbine noise. After taking comments on the draft released a couple of months ago, the PSB chose to increase the proposed night time limit from 35dBA to 39dBA; the daytime limit remains 42dBA, three decibels lower than the current limit. The votes were not close, with over 60% of voters in both towns giving thumbs-down to the wind farms. Iberdola, the developer, had pledged to respect the voters and discontinue its efforts to build there if they lost. A key factor for many locals was the unusually high number of homes relatively close to the ridge where the turbines were slated to be built (click image to enlarge). As compared to two other large projects in the state (Sheffield and Lowell Mountain), this project had a concentration of homes close enough to more or less guarantee that the turbines would be easily heard regularly—over a hundred within a mile, and another 150 between a mile and a mile and a half. This increased home density (4-6x more than Sheffield or Lowell) continued out to 2 miles, where noise could be audible at times. What to make of the payment offers? You really need to have a history degree to keep track of the twists and turns in the 4-years-and-counting Dixfield Wind Energy Saga. Ever since the adoption of a wind ordinance in 2012, local citizens, Planning Board, and Selectmen in this Maine town have been proposing revisions that have been rejected by voters. The 2012 ordinance, which still stands, includes a 2000-foot setback and noise limits in accordance with state standards of 55dB day/42dB night. In both 2013 and 2015, the updated ordinances contained some stricter standards (both include low-frequency standards and the 2015 one would have doubled the setbacks and lowered the night noise limit to 35dB), but both times the voters narrowly rejected the changes. Local officials have remained concerned that some of the zoning language in the 2012 ordinance is unenforceable, and this spring, they once again took a shot at finding a middle ground by resubmitting the language they liked in the 2015 attempt, but tweaked to return the noise limits to the state standard; as one Planning Board member put it, “The vote on the proposed wind power ordinance has provisions that both sides dislike. Maybe that makes it a reasonable compromise.” But that, too, failed to win support in a June 2016 vote. These 2012-2016 votes were all narrow victories for the pro-windfarm contingent in town, which maintained that the setbacks would preclude development and the low-frequency noise requirements would require cumbersome monitoring. Now a 5th vote in November 2016 has once again rejected a change, this time a proposal to simply nullify the 2012 town ordinance and let the state regulate the wind farms, which is now the preferred option by those who want the town to get out of the way and let the wind farm proceed. It was once again very close, 616-642 (14 switched votes would have changed the outcome), and I guess it marks the first loss by the pro-wind group, but no one will be happy with the outcome—local officials still say the 2012 version is unenforceable and advocates for greater local control have repeatedly pushed for more stringent standards. So the merry-go-round will continue spinning, the gold ring still out of reach for all concerned. For a recap of the tortured history, click on through to read the post I put together in June 2015 recounting the events up till then—including, in fact, a vote recount that dramatically overturned the one previous victory by the more cautionary contingent. Olympic National Park has lost a vital component with the persistent sounds of jets overhead. Many of us visit national parks as a way to balance the rigors of everyday life with an experience of wilderness and solitude. During the last week of June, while participating in the annual sea otter census near Hoh Head north of the Hoh River, my colleague and I experienced persistent and loud military jet noise. The noise would suddenly erupt as the aircraft transitioned from land to sea. One of the abrupt sounds echoed such that we thought we might be experiencing the beginnings of a landslide. During the three days I participated in the sea otter census, we experienced persistent, loud jet sounds most of the day. One week later while backpacking with my grandchildren at Toleak Point, we experienced the same persistent, loud jet noise. It was not what I was expecting on a coastal wilderness hike in Olympic National Park. We have suffered a loss in Olympic National Park, where you will no longer be able to get lost in the natural sounds of moving water and marine animals. When you least expect it, the loud sounds of military aircraft will take you away from peacefulness and remind you of the reality of everyday life. There are over 7 billion humans on our planet now, and we need quiet natural places more than ever. Someplace to go where your spirit can regenerate. It is so sad that we have lost this component of Olympic National Park. Troy, NY, a mid-sized college and old industrial town along the Hudson River. Note the I-787 corridor on the far side of the river, and the relatively rapid drop-off of neighborhood noise as you move away from the core downtown area. And my current home in Kennebunk, ME, in a quiet neighborhood. You can see the much smaller downtown noise footprint in the lower right, and the more modest highway noise from the Maine Turnpike on the left. Check out your city or town here! You can zoom in on these maps to pick out individual homes; part of HowLoud’s financial model is licensing these maps to real estate companies, in hopes that the relative Soundscore may become a selling point for homes in quieter areas. I can well imagine renters being equally interested in having better idea of where the sounds of a city center begin to moderate a bit. The folks behind HowLoud have prioritized using a consistent metric nationwide, so that comparisons are valid. It seems to me that their 100-point scale is slightly nudged toward a suburban tolerance for noise, rather than than a deeply rural baseline. By that I mean that the dark-blue areas of their maps are probably not as totally free of noise as you may imagine; I’m thinking of the spot not far from my current home in the screenshot above, which looks to rate around 90, and a deeper blue zone in a land trust property in town that appears to be close to 100, neither of which is truly close to noise-free. I suspect that this may be largely due to the fuzziness of the Federal Highway Administration highway noise model that provides their foundation. These are based on 24-hour averages, which is practical for assessing impact, but doesn’t reflect on-the-ground experience: the 24-hr average is lower than the daytime peak of traffic noise, but higher than the nighttime average (but again, usually lower than the sound of a single car or truck passing in the night). The FHA model may also somewhat underestimate sound propagation from roads (for example, that Turnpike in the lower picture is readily audible at night, even in the dark blue zone). But I’m nitpicking! This is a fantastic first take on an initiative that we really should extend to include the vast, un-urbanized parts of the country as well. 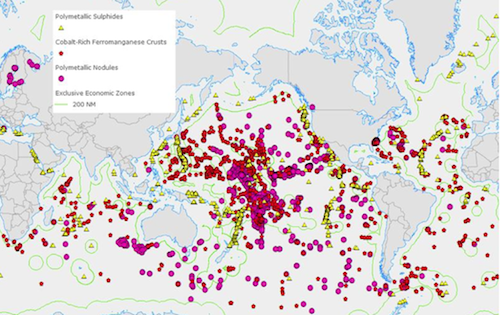 NOAA is beginning to do these sorts of noise model maps for the world’s oceans, while the National Park Service and other researchers have done some country-wide modeling similar to this project. I’m all for the potential to use these techniques as a way to target remaining refuges of natural quiet for recognition and protection in the years and decades to come; every little relatively quiet pocket is valuable, and maps like these can help us realize what’s still there, just far enough from roads that we can still experience the landscape on its own terms. Indeed, nighttime noise limits of 35dB or less can mean that setbacks will need to be large enough (4000 feet or more) to rule out development in most communities. Still, it’s entirely reasonable for some towns to choose such low noise limits, or setbacks of a half mile or more, if the priority is to preseve the rural character of place and assure that few if any residents will hear turbine noise on a regular basis. Ideally, these more restrictive rules would also include the option that wind developers can obtain noise easements from neighbors who are willing to live closer to turbines (often in return for a financial payout, either one-time or annual). And guess what? The much-decried Ohio rules do allow individual landowners to waive the setback requirement, if they wish to; this may be part of why so many projects are still happening. It’s time for the wind industry to stop moaning about setbacks meant to preserve some semblance of rural character, and begin making peace with the fact that not all communities will make the same choices about opportunities for economic development. Looking ahead in Ohio: Even as Amazon, Apex, and others proceed with their plans in Ohio, representatives from several northwestern Ohio districts have introduced a bill to let counties supersede the state rules and revert to the old setback standards on a case by case basis. (Will it surprise you to hear that it’s in this very region where Amazon is happy to build with the current rules? I thought not….) So far, there does not seem to be any active reconsideration of the other key element of the 2014 rule changes in Ohio, a 2-year freeze of the state renewable energy portfolio standard (RPS) at 2.5%—foregoing the planned 1% annual increases toward a 2025 goal of 12.5%—while the legislature reviews the RPS program. Presumably, a decision will be made during the coming year whether to revert to the old schedule or adopt new, lower targets. UPDATE, 1/29/2016: While I’m not tracking all the news related to new projects, a couple of things caught my eye recently. 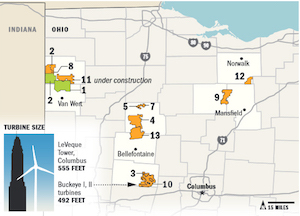 Two companies, including Apex, abandoned plans for wind farms in Ohio, though the news reports, and perhaps the formal notices filed with state regulators, don’t specify why; there are many reasons that proposed project aren’t completed, including the financial health of the companies themselves, and the fact that they often do preliminary work in many more places than they ultimately choose to build. Relatedly, the Scioto Ridge Wind Farm, which was among those supposedly threatened by the new Ohio rules, is still under development; on January 26, the project’s Facebook page recently posted a local news article about an agreement reached between Everpower and a local opposition group, which reduced the number of turbines from 176 to 107; such reductions sometimes involve a move to bigger turbines, and it’s unclear whether the footprint is smaller (and so some setbacks larger) under the agreement. Nonetheless, another local group has vowed to continue fighting the plans. If you’d like to get up to speed on what’s going on in the field, this resource page from the Ocean Foundation is a great place to start. It includes links to major agency, industry, and NGO players and to several reports of interest. Noise is considered a significant impact from SBM and DSM, though seafloor habitat disturbance (both physical disruption and the addition of light to areas normally very dark) and plumes of sediment in water being returned from the processing ship above are the primary impacts. Mining at sea often has a much smaller social and ecological footprint than terrestrial mining; among other factors, many seabed mineral reserves have a higher concentration of the minerals of interest than those on land, especially after centuries of mining the best ores. Still, one common target for ocean mining is deep sea vents, which are biologically rich thanks to their concentration of minerals and temperature differentials. We’re still in the early years of grappling with how to assess the significance of the impacts on seafloor habitats. Moving forward, we need to be considering what proportion of each regional habitat type will be allowed to be disrupted, and, as ever, we should be particularly cautious about introducing industrial activity into areas that are still relatively free of other human activity (this is especially important in regards to noise). See previous AEI coverage of this issue here. It’s not much, but it’s a start. The troubled FAA/NPS collaborative planning process has completed an actual final plan to manage air tours at a national park. But don’t get too excited: it’s not a full-on Air Tour Management Plan, as was the goal for all national parks with sightseeing flights when the two agencies were charged with the task fifteen years ago. 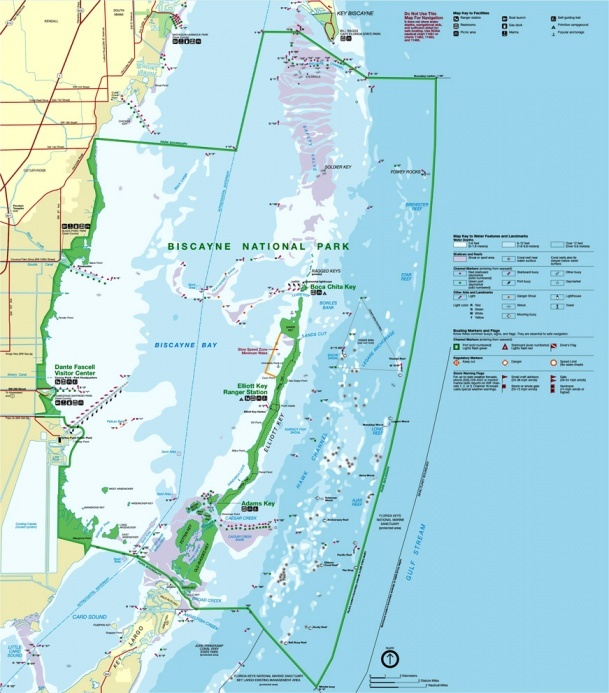 Taking advantage of new rules encouraging voluntary agreements with air tour providers, Biscayne National Park in Florida is on the verge of finalizing such agreements with two flight providers. The good news is that these agreements limit flights from 8am to 6pm, which leaves sunrise free from flights year-round, while sunsets only occur a bit before 6pm for a couple months in the heart of winter. Similar provisions for flight-free times extending an hour before sunset and an hour after sunrise at the Grand Canyon were derailed at the last minute by Senators McCain and Reid in a rare show of bipartisan meddling. The Grand Canyon remains the only National Park with a formal air tour plan, thanks in part to the fact that the FAA was not part of that process, which predated the start of the FAA/NPS efforts (the FAA and NPS have different approaches to the EIS process, which they’ve been unable to resolve). So it may be an encouraging sign that the first agreements to come out of the joint planning do manage to keep the magic hours on each end of the day free for quieter recreation. 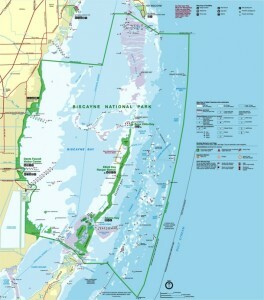 Of course, Biscayne is not your typical National Park. Within sight of Miami, there is plenty of boat traffic and most of the action takes place near the seashore, with all of its natural and human soundscapes, as well as on and under the waters of Biscayne Bay. Plus, the number of air tours is small (200 annual flights, most from November to May), and there is probably little demand for sunrise and sunset flights. Still, perhaps this first small step will set a precedent for plans at other parks. 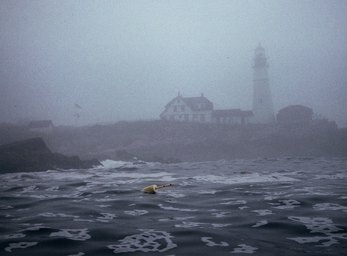 In seaside communities up and down the Maine coast, a new foghorn-triggering system being rolled out by the Coast Guard is spurring passionate pushback. The hardware supporting the old system—which turned on foghorns whenever humidity rose above a threshold and kept the gentle blasts going for hours at a time—is being replaced by a new system that is triggered by radio pulses from boats, so that the foghorns are activated only for short periods as boats are in transit nearby. The Coast Guard says that the old moisture-based hardware is wearing out, and the manufacturer no longer makes new parts, necessitating the change-over. Jane Dillon of York, who gathered 350 signatures in favor of a return to the old system, said opinions about the old foghorn often divided people in York, with longer-established residents firmly standing by their love of the horn’s tone, which she called “that haunting sound that brings me back to the days when sailors were out there hoping for safety.” In Kennebunkport, Tom Bradbury agreed: “There’s a sense that someone is on guard, watching over those who are on the water. We find it a very pleasing, comforting sound.” At Kennebunkport’s Cape Porpoise, Goat Island Light was one of the first ones to be outfitted with the new system, after the old hardware failed six times in six years; but after an outcry, the Coast Guard temporarily replaced the old unit, and plans to do more public outreach to prepare citizens for the change. Similarly, roll-outs in other communities along the coast will be accompanied by increased engagement with communities ahead of time. Meanwhile, concerns are being raised about the safety of small boats without the VHS radios necessary to trigger the new system; but with the old system’s parts going out of circulation, options are limited. Unless an alternative source for the moisture-triggered hardware magically appears, the call of the foghorn seems likely to become a signal that boats are passing by, rather than being a soothing voice of the coastline when shrouded in fog. Every December, local papers around the country routinely highlight the top stories of the year gone by. Based solely on AEI’s routine Google News keyword results, it appears that noise-related issues were among the major topics in several areas. Wind farm noise issues made the lists in at least two places. In Van Wert County, Ohio, it was the #2 story of the year. The wind industry has been complaining loudly about a tweak to state rules that now measures the state’s modest 1300-foot setback limit from property lines, rather than homes. While wind developers claim this precludes most development, the option of establishing good-neighbor agreements with those living close to proposed turbines remains open. In Huron County, Wisconsin, the #7 story was “Wind energy continues to divide community,” as the county and several townships consider revisions in their wind ordinances. And, not surprisingly, continuing controversy over the diluted Grand Canyon National Park overflight rules was a top story in northern Arizona. The big development this year was the FAA making 1700 additional flight permits available to companies using “quiet” aircraft. AEInews has covered the overflight issue in some detail for many years. Nedelec SL, Radford AN, Simpson SD, Nedelec B, Lecchini D, Mills SC (2014). Anthropogenic noise playback impairs embryonic development and increases mortality in a marine invertebrate. Sci. Rep. 4, 5891; DOI:10.1038/srep05891 (2014). Erica Staaterman, Claire B. Paris, Andrew S. Krough (2014). First evidence of fish larvae producing sounds. Biol. Lett. 2014 10, 20140643. It used to be that most concern about human noise and ocean life was centered on whales and the two loudest sound sources: sonar and seismic surveys. But in recent years, we’ve seen a growing wave of studies looking at how chronic, moderate ship noise can interfere with normal behavior and development of other creatures, including squid, fish, crustaceans, and other “lower” species. Four recent studies add to the list of known or suspected ways that shipping and recreational boat noise may be wreaking previously unsuspected havoc throughout the oceanic web of life. “In the same way we write using our right or left hands, fish have a preferred side to approach a predator or to stay next to shoal mates with. We watched each eel as it explored a maze in ambient conditions to classify its right or left bias, then we exposed half to ship noise and half to more ambient noise. Their preferences went away when they were exposed,” says Dr Steve Simpson of the University of Exeter, lead researcher on the study. The team suspect this means ship noise affects eels’ cognitive processes, which could mean other processes, like learning, may also be affected. Alongside raised metabolic and ventilation rates, the scientists note the stress being caused by the shipping noise is similar to the levels fish exhibit in ocean acidification studies. For the past couple of years the Lake Winds Energy Park in Mason County, Michigan has been embroiled in a contentious dispute about its noise levels (image to left is the “Park” under construction). 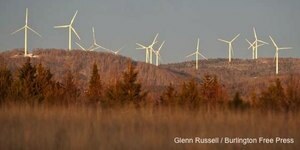 In April 2013, five months after the 56 turbines began operating, 17 neighbors filed suit, claiming that wind farm noise, vibrations and flickering lights were adversely affecting their health. A few months later, after commissioning an independent sound study, the Mason County Planning Commission formally declared the wind farm out of compliance and demanded a mitigation plan; the developer, Consumers Energy, disputed the findings yet lost two appeals, one at the Zoning Board of Appeals and one in Circuit Court. During that series of challenges, Consumers developed a plan to modify turbine operations for 7 turbines closest to the four sites where they were found to be marginally too loud. Excursions over 45 dBA should have been anticipated since, as outlined in the acoustic study by Tech Environmental prepared in June 2011, the wind energy park was designed with sound levels identically equal to the 45 dBA criteria at some key receptors with no factor of safety to address the fact that the prediction methodology has a stated accuracy worse than +/- 3 dBA. If Tech Environmental was aware that achieving the criteria even 95% of the time was unacceptable to the County, it would have been prudent to incorporate a suitable safety margin to account for the statistical variation in sound levels. And this is the first half of the central lesson here: it’s essential that enough of a safety factor is built in to the sound models to account for known variability in sound production (how loud the blades are in various unsteady wind conditions) and sound propagation (how far sound travels as it gradually loses power). Regular readers will know that variability is indeed, as Howe mentioned, often more than the simplified 3dB margin of error that was neglected here (see AEI’s 2012 report). The second half the lesson is related: when noise limits—for the sound of the turbines when it reaches nearby homes—are set as high as 45dBA, they will be regularly audible at these homes, and likely well above night-time ambient sound levels. As many acousticians have stressed for years, these situations are very apt to trigger a significant number of complaints, especially if there are dozens of homes in that nearby range. Here, we had the worst of both worlds: turbine siting plans that pushed sound right at the limit into nearby homes, and a limit that was on the high end of tolerability for many neighbors. Indeed, after one such cautionary report was presented to the Mason County Planning Board, it decided to lower the limit to 40dB, but that change was revoked after push-back from Consumers Energy. The Scottish government has commissioned a study addressing an all-too-rarely considered question: do pre-construction impact studies accurately predict the extent of shadow flicker, noise, and visual impacts on nearby neighbors? ClimateXChange will survey two thousand residents near 10 wind farms, including all residents with in 0.5km, and a sampling of residents at greater distances (somewhat over 30,000 families live within two miles of these wind farms, mostly around two of them). The steering committee for the study includes at least one concerned citizens group, Scotland Against Spin, along with the leading national trade organizations, Scottish Renewables and Renewable UK, and Scottish Natural Heritage, a quasi-public advisory organization often concerned with landscape impacts. The surveys went out in June and are currently being assessed, with the final report due this winter. Surprisingly, though ClimateXChange clearly outlines the purpose of the survey as described above, both wind advocates and concerned citizens groups have characterized the study as an investigation into health effects complaints, a topic actually addressed in a previous report (including some in-depth back-and-forth with a prominent critic of their approach and conclusions). ClimateXChange has also completed some other relatively unique reports for the Scottish government, including one on legal compensation frameworks for wind farm disturbance and a look at the long-time informal standard of keeping wind farms 2km from villages (both of these reports are relatively brief and inconclusive, however). A property values study is also currently underway. Earlier this month, Leila Hatch, one of NOAA’s leading experts on ocean acoustics and a long-time researcher in and around Stellwagen Bank National Marine Sanctuary, presented an hour-long talk on ocean noise. It’s been archived on the Open Channels website, and is available for streaming and download on Vimeo. It’s by far the best introduction I’ve seen to this wide-ranging topic, including some basic information on ocean noise, along with a good summary of ongoing work at NOAA to map ocean noise and to learn more about how shipping noise, in particular, can impinge on whales’ communication space. Highly recommended!! Listening to our Sanctuaries: Understanding and Reducing the Impacts of Underwater Noise in Marine Protected Areas from OpenChannels on Vimeo. Eighteen months after Senators John McCain (R-AZ) and Harry Reid (D-NV) joined forces to undermine the National Park Service’s Grand Canyon air tour management plan just before it was set to go into effect, the Federal Aviation Administration apparently feels that the discounted per-flight fee for quiet aircraft is not incentive enough to encourage the air tour industry to invest in new-generation planes. Rather, the FAA has decided that the best way to do so is to allow 1721 additional flights to the annual parade of planes piercing the skies over the Grand Canyon, so long as these new flights utilize “quiet” aircraft. A park spokesperson notes that the additional flights only add about 3% to the flights already occurring; at peak times, planes take off every 90 seconds, heading for the two most popular air tour corridors. As with snowmobiles in Yellowstone, the annual cap on allowed flights is far higher than the number of flights that have been occurring in recent years: the FAA authorized about 90,000 flights in 2012, the most recent year for which numbers were available, though only (!) 55,185 commercial air tours were actually flown that year. The state Public Service Board has initiated a public process for re-examining the noise standards used at wind and natural gas energy facilities in Vermont. Geoff Commons, the PSB’s public advocate, notes that neighbor complaints from wind projects operating in compliance with a 45dB standard are part of the driver for this review. The PSB has established a website to track this process. A pre-hearing conference was held on January 8, and based on discussions there, a scoping document outlining initial ideas about procedures and key questions for the process have were released on January 29, and can be downloaded here. Public comments are being accepted through March 3, after which the final scope of the process will be determined, followed by a series of public workshops to address specific issues. The outcome of this process will be a determination as to whether a new set of binding sound-related standards is needed; if so, that will occur during a separate formal process. From my first reading of the preliminary scoping document, it appears that the focus may be strongly oriented toward health effects, and the standard effort to determine “state of the art” scientific information; the initial list of questions doesn’t appear to consider quality of life impacts. However, the final scope may change, based on comments during this scoping phase. This court challenge stands apart from most previous nuisance suits, nearly all of which been filed by non-participating neighbors of wind farms (ie, local residents who are not hosting turbines themselves). Most annoyance surveys suggest that wind farm hosts are less likely to be bothered by turbine noise than non-participating neighbors, and many wind projects make an effort to spread the financial benefits to include some non-host neighbors, because of suggestions that broader project participation will increase community acceptance. In this case, however, the plaintiffs are receiving lease payments and tax benefits that will exceed $50 million over the life of the projects. Among the plaintiffs are Willacy County Commissioner Noe Loya, who is said to “no longer enjoy sitting outside because of the loud noise,” with turbine noise inside and outside his home “disturbing the peace and making it difficult to enjoy living there.” Another plaintiff, a local Justice of the Peace, “has difficulty sleeping, cannot have his windows open (and) cannot enjoy the sound of nature, due to loud noise from wind turbines.” The lawsuit also claims that some residents have abandoned their homes. 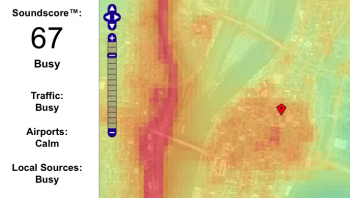 In addition to noise issues, the suit includes visual impact, property value, and health effects claims. UPDATE, 1/31/14: Spokesmen from both companies issued statements noting that one claim of the suit—that the companies had no plans to remove the turbines at the end of their useful life—is false, and stressed their ongoing monitoring and maintenance of the machines. They more generally dismissed the other accusations, as well. The suit was filed in State District Court in November. In December, the companies requested that it be moved to federal court, where U.S. District Judge Hilda Tagle has called for a response from the companies by February 6. Two new research projects are taking important next steps in understanding the importance of sound, and clear listening, to whales. In recent years, ocean bioacousticians have introduced the concept of “communication space” or “effective listening area” to scientific parlance. This began as a conceptual framework for thinking about how human sounds (especially shipping noise) may reduce the area across which whales can hear and be heard; researchers are now digging into more of the details of how this may actually impact animals in their daily lives. After several recent studies that focused on whales hearing each other (and so framing their results in terms of “communication space”), two new studies are gathering initial data that may inform considerations of the ways whales listen for the presence of prey. While whales can, and do, change some of their communication signals or patterns in order to be better heard by other whales in noisy conditions, there’s no such compensation that can help a whale hear their prey through a wash of noise. Both of the new studies are taking advantage of acoustic tags to allow scientists to listen in on whales as they are foraging. These tags are about the size of a large cell phone, and are attached to the animals with suction cups; they remain attached for up to 16 hours, then float to the surface for retrieval. While attached, they record all sounds the whales hear and make, as well as logging swimming speed and dive orientation. One study is further along, having just published its first results, which confirm that orcas can hunt in near-total darkness, apparently relying only on zeroing in on their prey (in this case, seals) by listening for their mating calls. These orcas do not use echolocation while hunting (other orcas, hunting salmon, do echolocate); they hunt in stealth mode, then dispatch their victims with a swat of their tail flukes. 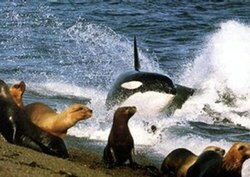 This initial evidence is not totally conclusive; followup studies will confirm that orcas do, indeed, seek out seal sounds. And, this sort of study is but the first step toward quantifying the extent to which ocean noise may limit the range over which orcas can hear seals while hunting. She said the sound of “bait balls” of prey, such as schools of fish, could be greatly heightened when a feeding frenzy involving larger fish and seabirds broke out. Dr Constantine said whales had been observed swimming rapidly from over a kilometre away toward prey aggregations, “so we’re very interested to find out if there are specific acoustic cues they home in on”. This study plans to play recorded sounds of fish aggregations and other prey sounds while the tags on the whales. (I suppose if they happen to get lucky and have an actual feeding event occur while tags are attached, that will be a bonus, but the playback will serve as a reliable testing condition.) This team is also interested in using acoustic tags on large fish and sharks, to explore the ways they may rely on listening, as well. R. Williams, C.W. Clark, D. Ponirakis, and E. Ashe. Acoustic quality of critical habitats for three threatened whale populations. Animal Conservation (2013). Innovative research along the coast of British Columbia has quantified the degree to which shipping noise is reducing the distance at which whale vocalizations can be heard. This is one of the first studies to use recordings of actual ocean noise levels to examine how the “communication space” of whales is affected by shipping noise in an area where whale conservation is a priority. 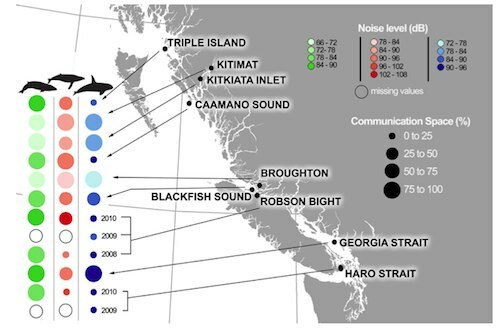 Among its troubling findings is that endangered orcas are facing the highest levels of noise in areas that are legally designated as critical habitat, with communication space reduced to 25% or less even in average noise conditions; over the entire study region, the area over which orcas can hear each other can be reduced by 62% during average noisy conditions, and 97% during the noisiest times. Humpback whales face nearly as large reductions in some key areas (though not formally designated critical habitat; and, notably, are showing signs of a tenuous recovery in some of the areas studied), while fin whales, who have louder calls than the other species, are only mildly affected by shipping noise. Communication space (alternatively termed “effective listening area”) is a relatively recent introduction into scientific parlance; it’s a measure of the area within which a particular species can hear and be heard by others of its kind; both marine and terrestrial bioacousticians have begun using this framework to better understand the ways animals may be affected by increased background noise introduced by human activities, including shipping, roads, and airplane overflights. Previously, small increases in background noise were commonly considered to cause only negligible impacts, since there is rarely a clear or consistent behavioral reaction. However, many animals rely on hearing things at the edges of audibility (calls of their kin, the approach of predators, the presence of prey), and a significant reduction in an animal’s communication space can cause a need to use more energy hunting, or to be in a heightened state of alertness (and stress) to avoid predation. Despite much gnashing of teeth among wind developers and some wind advocates, it appears that the Australian wind industry is adjusting to larger setback requirements. 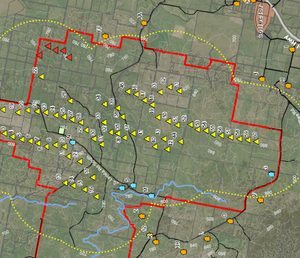 In the past two months, two large wind farms have cleared key approval hurdles in New South Wales, with both incorporating the 2km setback requirement from non-participating homes that is included in draft NSW wind planning guidelines. Meanwhile, the 63-turbine Collector Wind Farm has been received a recommendation for approval by the NSW Department of Planning this week, and now awaits final approval from the Planning Assessment Commission. Despite the recommendation, Tony Hodgson of Friends of Collector said strong opposition remained in the community, which would be enthusiastically voiced at a community meeting with the PAC at the end of October. “We spent a lot of time and a lot of energy putting in our submission, and nobody from the department ever talked to us,” Mr Hodgson said. “We feel very, very hard done by. We think it’s an outrage, and the whole thing’s been a complete waste of our time.” The Collector project includes one home just inside the 2km buffer, and a couple more just outside it, as seen on the most recent site map (above; yellow line is 2km; red turbine sites have been removed). The project’s Sound Assessment found that the three closest non-participating homes would remain just under the 35dBA noise limit (10-minute average), as well being well below the 60dBC limit. The NSW Draft Planning Guidelines, which were released in December 2011 and have yet to be finalized, included a requirement that projects receive permission from all homeowners within 2km. NSW’s southern neighbor Victoria has been operating under a 2km setback requirement for two years now; over 20 wind projects are in the planning stages, with one in the midst of the approval process. NSW’s other neighbors, South Australia and Queensland, are also charting cautionary paths, though without absolute 2km limits on the table so far (both have 35dBA noise limits, which generally requires setbacks of 1.5km or more). 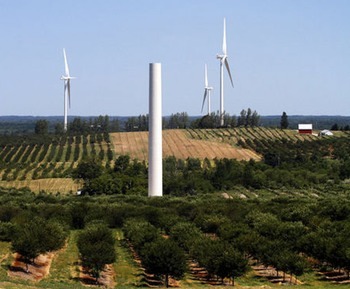 As in Australia, the US state of Oregon appears to have a robust wind development environment, despite the widespread use of a 36dBA noise limit, which similarly pushes turbines significantly further away from neighboring homes than is typical in much of the US and Canada. For over a decade, the National Park Service has been on the forefront of public lands agencies in addressing the role of sound and noise on both wildlife and park visitors. NPS’s Natural Sounds and Night Skies Division has catalyzed baseline acoustic monitoring in seventeen parks, and carried out groundbreaking research on the effects of noise on wildlife. “In addition to parsing out the extent to which visitors value being able to hear the sounds of nature, the study will provide other useful information such as how acoustic conditions affect the likelihood of repeat visitation to national parks,” the agency said in a summary of the survey. At a daylong public outreach workshop on Noise in Communities and Natural Areas earlier this month (which I was fortunate to attend), Kurt Fristrup and Frank Turina outlined some of the ongoing soundscape work in parks. Turina described a pilot project at Rocky Mountain National park that uses flashing signs to notify motorcyclists of the noise levels of their bikes (much like instantaneous speed-tracking signs), with the goal of encouraging riders to moderate their noise while enjoying park roads. Fristrup shared some fascinating research revealing that hikers on the Hermit Trail at the Grand Canyon nearly universally reported lower levels of overall satisfaction with their visitor experience after overflight helicopters start flying each morning. Hikers were asked to rate their experience on a 7-point scale, from Very Pleasant to Very Unpleasant. Prior to the start of flights, Very Pleasant (7) received was the most chosen rating, with no one choosing the lower Unpleasant to Very Unpleasant ratings of 3, 2, or 1. After flights began, the graph of responses shifted distinctly toward the less pleasant ratings: the number of people rating their experience at 7 dropped dramatically and the lower ratings, all the way down to 1, joined the mix. 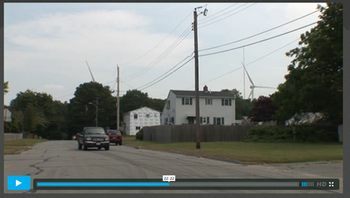 A new film from Fairhaven, MA, features the compelling real-life experiences of several local residents who live close enough to the wind turbines to hear them on a regular basis. The film, entitled Too Close, has a calm and caring tone, and is free of side-issues that can at times clutter the wind turbine siting debate (e.g., economic or carbon-reduction arguments), and focuses nearly solely on audible noise, with only a brief mention of infrasound. Also, refreshingly, quality of life (including sleep disruption and intrusion in backyard solitude) is given as much or more attention as more acute health effects, and the film is free of the more alarming/alarmist claims that are featured in some other concerned citizen documents. The 44-minute film can be viewed here. There are just a couple of things I would add for context, which may be useful as you consider these stories from a range of “regular” people dealing with this new noise in their local soundscape. First, though it’s mentioned in passing a couple of times, some of the issues, especially shadow flicker, but also noise for some more distant residents, are more problematic at particular times of year. For the closest residents, it can be daily or near-daily, while at other places, the problems may at times recede from the intensities described here. When interviewees speak of things that happen “sometimes” or “some days”, it’s not always clear how commonly (how many days a month, hours a day, or months of the year) these experiences occur. Also, as in every town with noise issues, these hardest-hit residents are a minority of nearby residents. Surprisingly, few solid surveys exist to help us get a better sense of the proportion more severely affected, but some numbers from Fairhaven offer a sense of it. There are just over 700 homes within 3000 feet, and residents of at least 56 of these have filed formal complaints; that would represent about 8% of homes, a small proportion, but a significant breadth of impact. In this video, all or nearly all of the residents live significantly closer (950-2100ft); it’s quite likely that most of the complaints come from this closer zone, and that somewhere between 10-20% of closer homes have complained. Also, we need to bear in mind that not everyone is comfortable publicly complaining; doubtlessly, more than 56 homes are experiencing issues similar to those discussed here. A valid question can be raised about how high a proportion of negative impact is acceptable around any new infrastructure or industrial development. Some will surely argue it’s reasonable to expect to impact 5-10% (or even 20%) of nearby residents, while providing social benefits for many more. Yet, in a small town, when over 50 families are having their lives disrupted, it can cause a serious rupture in the local social environment; this “tearing the community apart” effect has been stressed in many other locales where noise became an issue. As reasonable as it may be to suggest that “you can’t please everyone,” it’s also entirely valid for towns to consider the effects on their sense of local community if dozens of homeowners were to become aggrieved at a proposed new development. All in all, this film provides a credible and compassionate look at the personal side of an issue that is often swept up into polarizing hyperbole and self-serving rhetoric from both sides. Resonate Acoustics. 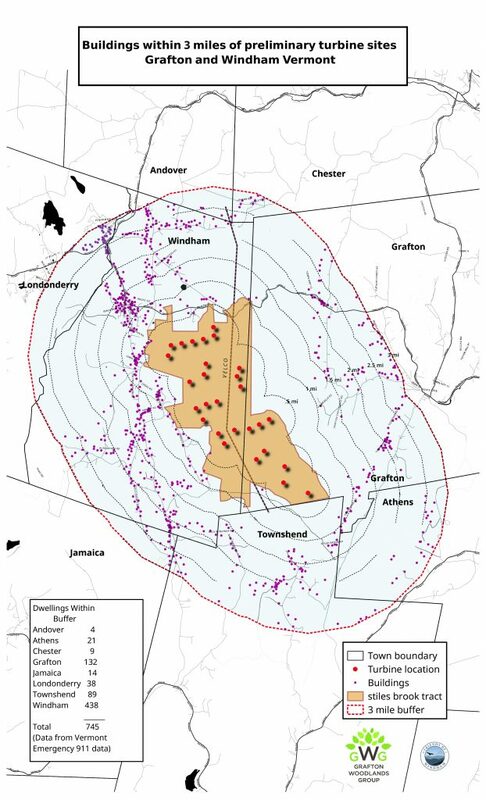 Macarthur Wind Farm Infrasound & Low Frequency Noise: Operational Monitoring Results. 18 July 2013. Author: Tom Evans. Client: AGL Energy Limited. Download report here. A new report from Australia is being touted as the latest definitive proof that infrasound around wind farms is no louder than infrasound from wind and human activity in areas with no wind farms. 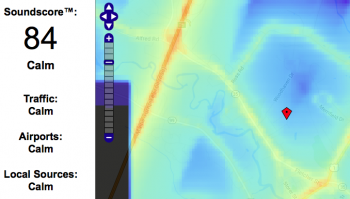 While providing a relatively robust new set of data, the study design leaves some important questions raised by wind farm neighbors and other acousticians unanswered. This may be the most comprehensive infrasound/low-frequency study released yet: it includes several days of measurements made prior to construction of the wind farm, along with at least ten days of measurements made when the wind farm was partly operational, and ten more days once the wind farm was fully operational. Sound was measured down to 0.8Hz, lower than some similar studies. Most importantly, sound was recorded inside the homes, which were1.8km (1.1mi) and 2.7km (2.7mi) from the nearest turbines, on opposite sides of the wind farm; at both homes, there were many more turbines at slightly greater distances than the closest ones. At the more distant home, daytime infrasound levels prior to construction were commonly 60-70dBG, with a few peaks of 80-90dBG (grey circles below); these measurements capture the natural ambient infrasound levels caused by the wind itself, along with contributions from machinery and vehicles in the area (the threshold for human perception is about 95dBG for pure tones, perhaps lower for pulsing sounds). The peaks were much lower at night than during the day, only reaching 70dB at the highest wind speeds. With the wind farm operating (yellow diamonds below), the range of results was generally similar. Note that the operational data is not all turbine noise; some periods will have peak sound levels caused by the same local ambient sounds captured in the pre-operational monitoring period. A separate section of the report addresses audible low-frequency noise, using the dBA-lf metric (dBA weighting, applied only to sound from 10-160Hz), and also reported as linear (unweighted) results at each frequency band (down to 10Hz when compared to regulatory criteria, and to 0.8Hz in a series of charts of median levels in each frequency band). Again, results showed compliance with regulatory thresholds, except for a few 10-minute periods (roughly 2% of the periods); the authors of the report consider it likely that most of these are extraneous sounds, or would be in compliance if found to be steady, rather than variable, sounds. First, the houses used in the study were relatively far away from the wind farm. While there are some noise complaints at the distances studied (especially in Australia and New Zealand), the vast majority of neighbor complaints occur when turbines are closer, from a quarter to half mile especially, and out to three-quarters of a mile (a bit over 1km) with some regularity. 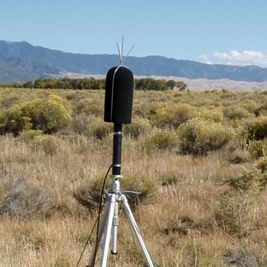 This study takes the important step of recording inside sound levels, but with many complaints coming at half or quarter the distance of even the closer home here (and a tenth the distance of the further home), we are left without a clear idea of infrasound or low-frequency noise levels at such locations. This may be especially relevant to the low-frequency findings, since even at the greater distances, inside low frequency sound was much closer to regulatory limits than were infrasound levels. Second, the primary data is presented as 10-minute average sound levels. In an attempt to consider whether they were missing important shorter-term variation, the researchers also looked at 1-minute averages, and for part of the data, 10-second averages. They found that the 10-second averages closely tracked the 10-minute averages, with a similar amount of variation. However, several acousticians have suggest that the negative effects reported by some neighbors are caused by much shorter pulses of low-frequency or infrasound: investigations have centered on the roughly once-per-second blade-pass frequency, and on even more rapid fluctuations that can only be captured when filtering sound at at time frames of 10 milliseconds, matching the sensitivity of human hearing. It’s very likely that the 1-second peaks would show higher peak levels than the 10-second averages and 10-minute averages; one such analysis found 1-second peaks of 5-8dB higher than 10-second averages, with variations of up to 30dBG or more around the average when measured at 10ms, leading to peaks 10-17dB higher than the ten-second average. While regulatory criteria rely on longer averaging times, human responses to much shorter-term peaks, and/or to short and long-term variability, may well underlie many of the more vehement complaints that occur even when turbines are meeting regulatory noise limits. Investigating this possibility more widely would help settle what is becoming a central question in community responses to wind farms. Finally, even ten days of monitoring may well not capture conditions that are particularly troublesome for neighbors. No indication is offered as to whether the monitoring was scheduled with any consideration for “worst-case” noise conditions, especially times of high atmospheric turbulence, or seasons when complaints have been highest (operational monitoring took place in southern hemisphere summer and autumn). The report notes just one two-day period when the resident at one of the homes noted that the noise seemed particularly bothersome (results those nights were generally clustered within the typical scatter of data, though on the high side of the range). While it may appear to some that these final points are nit-picking attempts to find any small reason to ignore the overall findings of this study, I offer them not so much as critique, but rather as a nudge to researchers, to dig deep enough to more definitively address some of the particular qualities of wind turbine noise that are being hypothesized as contributors to community responses to turbines. In particular, averaging times for noise analysis must be well below one second (eg 125ms, or one-eighth of a second) in order to capture the amplitude modulation that gives many turbines their distinctive pulsing or throbbing sound quality. 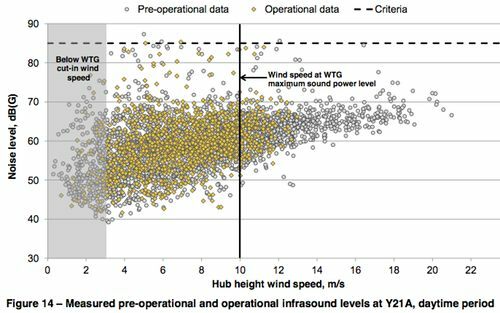 This study does a good job at assessing the wind farm’s infrasound and low-frequency sounds against the regulatory criteria; however, with community complaints being common even around projects in compliance, there’s a need for research that can help clarify whether wind turbine sound does—or does not—have unusual qualities or variability patterns that existing regulatory standards are not designed to address. Earlier this month, I arranged to visit the wind research teams at Sandia National Lab and the National Renewable Energy Lab’s National Wind Technology Center, both of which are relatively nearby here in the southern Rockies. I’ve been following the work of many of these researchers for the past year or so—it was central to my 2012 Renewable Energy World conference paper and presentation on efforts to quiet turbines—and was very interested in learning more about their past, current, and future studies. In particular, the Sandia team has recently built a Scaled Wind Farm Testing (SWiFT) facility, at which they’ll be studying wake interactions between turbines, and they’ve long been on the forefront of developing new materials and experimental active systems to reduce load strains caused by inflow turbulence. They’re also leading the development longer blades, which may have important noise implications. Their most exciting forward-looking project is a 5-year effort to re-activate development of vertical axis turbines, with the goal of moving toward 5-10MW scale vertical axis turbines for use offshore (this will be a 10-20 year project, if the first phase shows promise). Meanwhile, at NREL’s NWTC, lots of research has looked at the pinpointing the sources of sound on turbine blades, as well as advanced modeling of sound propagation in various atmospheric conditions. Researchers there have quantified the power-production trade-offs caused by wake interactions within wind farms, and are on the leading edge of new technology that might allow individual turbines to monitor incoming air flows and adapt their operations to minimize loads and noise. All of this research has intrigued me, because of the likely role of wakes and atmospheric turbulence in wind turbine noise levels, and in creating some of the more intrusive sound qualities that neighbors find hard to live with. My hope was to sit down with these researchers and learn more about their work, as well as draw on their experience to see whether they thought the turbulence factors they study to reduce stress on turbines may indeed also have an effect on the sounds. As it turns out, they were also intrigued by such a dialogue, and both labs asked me to present their teams with a seminar on what I’ve been learning about community responses to turbine sound. Much of what I shared was new to them, and we had some great discussions. One of the central take-aways from both teams was that very little research has really looked at the acoustic effects of inflow turbulence, and there was universal agreement that this is an important area for future study (as a start, the SWiFT facility will incorporate some acoustic measurements). Many of them were especially interested in the varying sound quality of turbines, and the ways that this may trigger negative responses among neighbors; there was much speculation about the potential to identify the conditions that create the troublesome knocking, banging, thumping sounds, and perhaps adapt turbine operations to minimize or eliminate them. As I’ve long found in my interactions with academic and agency researchers, there was an easy openness and curiosity in both rooms, with many questions tossed around, and an excitement about studies they hadn’t seen before.